Fake trees in the stumps on Weybosset Street. Oh, I wasn’t putting any effort into finding out who might have put them there. 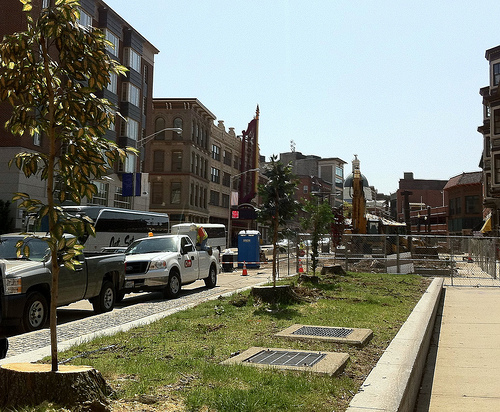 The fake trees are gone now too, as are the real stumps, the planters, and the sidewalk. It’s a shame they couldn’t at least have made an attempt at replanting.